Did the Apostles choose different dates for the observance of the Christian Passover? Some claim that Peter and Paul kept Sunday, while teaching that John and Philip kept the 14th of the month of Nisan for the Christian Passover. But does that make any sense? Could the date of Passover be at all important? Quartodecimans affirm that the observance of the fourteenth day was delivered to them by the apostle John, while the Romans and those in the Western parts assure us that their usage originated with the apostles Peter and Paul. Neither of these parties however can produce any written testimony in confirmation of what they assert. (Socrates Scholasticus. 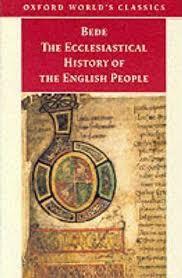 Ecclesiastical History, Book V, Chapter XXII. Excerpted from Nicene and Post-Nicene Fathers, Second Series, Volume 2. 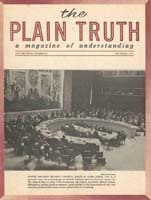 Edited by Philip Schaff and Henry Wace. American Edition, 1890). But many believe this and related statements, hence they do not keep Passover on the 14th day of the first month of the biblical year (Exodus 12:2), which is often known as Nisan (Esther 3:7). Instead most who claim Christianity keep Easter Sunday. The English term, according to the Ven. Bede (De temporum ratione, I, v), relates to Estre, a Teutonic goddess of the rising light of day and spring … Since Christ, the true Paschal Lamb, had been slain on the very day when the Jews, in celebration of their Passover, immolated the figurative lamb, the Jewish Christians in the Orient followed the Jewish method…For this observance they claimed the authority of St. John and St. Philip. (Holweck F. G. Easter. The Catholic Encyclopedia, Volume V. Copyright © 1909 by Robert Appleton Company. Online Edition Copyright © 2003 by K. Knight. Nihil Obstat, May 1, 1909. Remy Lafort, Censor. Imprimatur. +John M. Farley, Archbishop of New York). Thus, the Romans admit that the name Easter is the name of a pagan goddess and that the churches in Asia Minor (which they call the Orient) continued to observe Passover on the date that the Jews did, Nisan 14. But it was not just Jews, but also Gentile Christians who did so. Now, let’s consider if there is early evidence that the Apostle Paul observed Passover or Easter Sunday. If Paul did nothing against the Jewish customs, this means he kept the Sabbath, Holy Days, and the Ten Commandments. That meant he kept the 14th. Those who claim Paul kept Sunday are in error. So, Acts 28 provides biblical proof he kept the 14th. Now how were Christians to do this? So Christians were to keep the Passover in the manner that Jesus observed His final Passover. Which was on the 14th at night. Notice that this was kept from the time of the apostles and at night. This is NOT the case for Easter Sunday, which is observed in early morning. So, even those of the Church of Rome admit that Jesus did this on the 14th of Nisan. And that is when we in the CCOG keep it! Those who keep Passover on the 14th are imitating both Jesus and the Apostle Paul. Which Peter would have himself also done. Although I believe that portions of the text were corrupted (and the extant editions contain what seem to be non-original additions), there is some interesting information in the so called The Life of Polycarp. This document seems to be based upon writings in the second century, but the extant version contains information/changes that seem to be added in the fourth century. The Phrygians were like early Pentecostals. And Paul, according to the above, was saying to keep Passover at its proper time. Anyway, it makes no sense that those of Asia Minor who continued to keep Passover on the 14th for centuries had the Apostle Paul coming and telling them to change it to a Sunday, and then they changed back. What about the Apostle Peter? Did he go to Rome and tell them to switch to Sunday? So, the above admits that Sunday was NOT the original practice. Presuming the above account is accurate, Pius did not claim to get this from the Apostle Peter. Furthermore, Pius’ successor Bishop of Rome Anicetus did not state he got Sunday from Peter, but only early presbyters when he tried to defend the Sunday date against the date of the 14th advocated by the second century Bishop Polycarp of Smyrna (and he likely was so ordained in the first century A.D.). Specifically, no further back than a practice of the Roman Sixtus, not Peter (Irenaeus. FRAGMENTS FROM THE LOST WRITINGS OF IRENAEUS. Translated by Alexander Roberts and James Donaldson. Excerpted from Volume I of The Ante-Nicene Fathers. American Edition copyright © 1885). Audians … they choose to celebrate the Passover with the Jews–that is they contentiously celebrate the Passover at the same time as the Jews are holding their Festival of Unleavened Bread. And indeed that this used to be the church’s custom (Epiphanius. The Panarion of Epiphanius of Salamis, Books II and III (Sects 47-80), De Fide). Section VI, Verses 8,11; 9,2. Translated by Frank Williams. EJ Brill, New York, 1994, pp. 420-421). The idea that Peter kept Passover on Sunday seemed to develop in the fourth century. 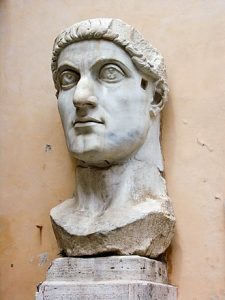 It likely came about related to the sun-god worshiping pagan Emperor Constantine who summoned Greco-Roman religious leader to Nicea in 325 A.D. Yet, Jesus did not declare that the Jews were detestable (He was a Jew) or that He changed the date of Passover. But apparently sun-worshipping Constantine felt otherwise. The Saviour and his apostles have enjoined us by no law to keep this feast: nor do the Gospels and apostles threaten us with any penalty, punishment, or curse for the neglect of it, as the Mosaic law does the Jews. … So also the feast of Easter came to be observed in each place according to the individual peculiarities of the peoples inasmuch as none of the apostles legislated on the matter. And that the observance originated not by legislation, but as a custom the facts themselves indicate. In Asia Minor most people kept the fourteenth day of the moon, (Socrates Scholasticus. Ecclesiastical History, Book V, Chapter XXII. Excerpted from Nicene and Post-Nicene Fathers, Second Series, Volume 2. Edited by Philip Schaff and Henry Wace. American Edition, 1890). So, Easter Sunday was not something from the apostles or scripture. And Jesus and Paul were keeping Passover on the 14th. But, what about John and the other apostles? In the second century, Irenaeus stated that Polycarp kept 14 and that “these things had been always [so] observed by John the disciple of our Lord, and by other apostles with whom he had been conversant” (Irenaeus. FRAGMENTS FROM THE LOST WRITINGS OF IRENAEUS. Translated by Alexander Roberts and James Donaldson. 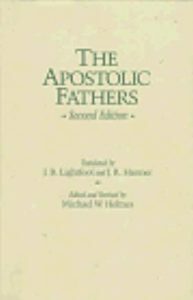 Excerpted from Volume I of The Ante-Nicene Fathers. American Edition copyright © 1885). Polycarp knew the Apostle John from the first century, and since Irenaeus also claimed to have known Polycarp, this is additional early evidence that John kept Passover on the 14th. Polycrates mentioned that the two apostles who died in Asia Minor kept Passover on the 14th, plus several Gentile Church of God leaders. So, we have at least 2 second century accounts that the Apostle John kept Passover on the 14th–and one that mentions the Apostle Philip. Now, in the New Testament, after Jesus’ resurrection, at least eight times in the Book of Acts and once in Galatians, we repeatedly see that John and Peter were mentioned together (they are named those times, and were also often with each when not named). Does anyone really believe that John and Peter did not observe the same date of Passover? Furthermore, modern Roman Catholic scholars have accepted that fact. Really, the Apostle John was afraid and that is why he kept the 14th? He kept the 14th because it was biblical and he kept what he learned from Jesus. That is the one true Passover! The truth is the Jesus and John kept Passover on the 14th after sunset. Notice carefully that John was inspired to write that those who did not keep his same practices were antichrists. Obviously, John must have been keeping Jesus’ practices too or he would have been among the antichrists. Instead, Jesus had John record the Revelation. Anyway, the records we have from the Bible as well as early post-biblical literature support the view that the Apostles John, Paul, Peter, and Philip all kept Passover on the 14th and that none of them were keeping Easter Sunday. The evidence from the Bible is from the first century and we also have other records of that in the second century. That simply is not the case for Sunday Easter for Peter or Paul. Do not be deceived by the craftiness of Satan (2 Corinthians 3:11) or others he has influenced, the Christian Passover is on the 14th of Nisan (which is after sunset on the 18th of April in 2019). The 14th is when Jesus observed His Passover, the Apostles observed the Christian Passover, and the faithful have observed it in the centuries since. Christians are “to contend earnestly for the faith which was once for all delivered to the saints” (to Jude 3). And not fall for arguments that suggest otherwise (cf. Jude 4-8). Keeping Passover on the right day, right time, and right way was important to early Christians. Keeping Passover on the 14th was part of the original faith. Keeping Easter Sunday certainly was not. Is imitating the true practices of Jesus and the Apostles important enough to you? 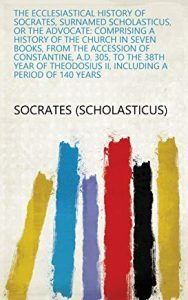 The fifth century historian Socrates Scholasticus wrote the those of Asia Minor said they kept Passover on the 14th of Nisan following the practices of the Apostle John, whereas those of the Romans and the West observed what is now called Easter Sunday following the practices of the Apostles Peter and Paul. Socrates claimed that neither side had written evidence to back up their claims. But what does the Bible reveal? Do the earliest records outside the Bible point to the apostles keeping the 14 of Nisan or Easter Sunday. 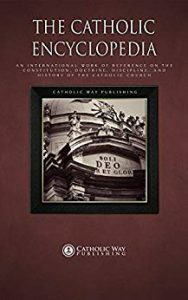 What does the Catholic Encyclopedia reveal? What about the Catechism of the Catholic Church and Eastern Orthodox writings? Was Passover supposed to e a nocturnal observance or a Sunday morning one? Can you know? Does this make any difference for Christians today? Dr. Thiel addresses these points from the Bible, historical records, and later church writings. Here is a link to the video: Did Peter, Paul, & John keep Easter Sunday or Passover? Some items of possibly related interest may include the following:Passover and the Early Church Did the early Christians observe Passover? What did Jesus and Paul teach? Why did Jesus die for our sins? There is also a detailed YouTube video available titled History of the Christian Passover. Do You Practice Mithraism? Many practices and doctrines that mainstream so-called Christian groups have are the same or similar to those of the sun-god Mithras. Do you follow Mithraism combined with the Bible or original Christianity? A sermon video from Vatican City is titled Church of Rome, Mithras, and Isis? This entry was posted on Sunday, April 14th, 2019 at 3:00 pm	and is filed under Church History, Doctrine.